Effortlessly elegant with our classic Hawa abaya, now as a open style. A batwing cut abaya with elastic cuffs and one snap button on top to keep it secure. A gorgeous flow and modest width. Pair with our sleeveless abaya Anisah underneath for a lovely mix and match. 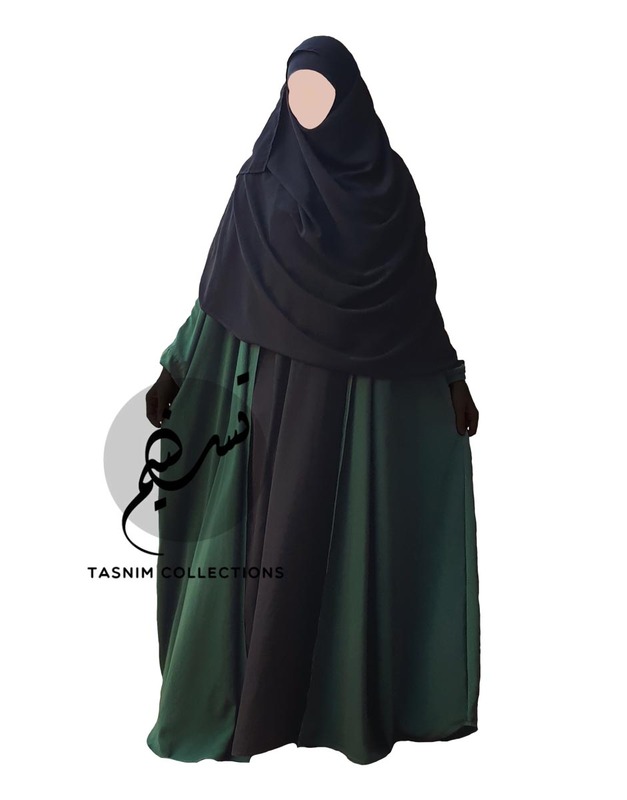 Pictured black abaya underneath is not included in the price. For a good fit, please follow our size guide and measure to be sure you choose the right size. Do you need a larger or smaller size? Dont’t hesitate to contact us and we will do our best to help you get a abaya matching your needs. PLEASE NOTE: MEASUREMENTS ARE APPROXIMATED AND SMALL DIFFERENCES MAY OCCUR. BLACK ABAYA, HIJAB AND GLOVES IN THE PICTURE IS NOT INCLUDED IN THE PRICE. 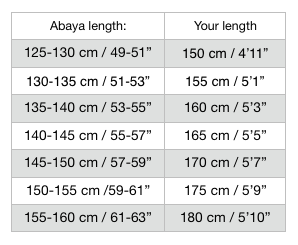 The following measurements is the abaya length guide for your height. This size guide is for guidance only, we highly recommend you measure from top of your shoulder and down to how long you want your abaya to be in sha Allah. The difference is in the width of the abaya from sleeve to sleeve. Our standard is most suitable for sisters that are 165 cm or taller, since its wider and therefore also have longer sleeves. Petite have smaller width which means it have shorter sleeves, suitable for sisters 163 cm and shorter. 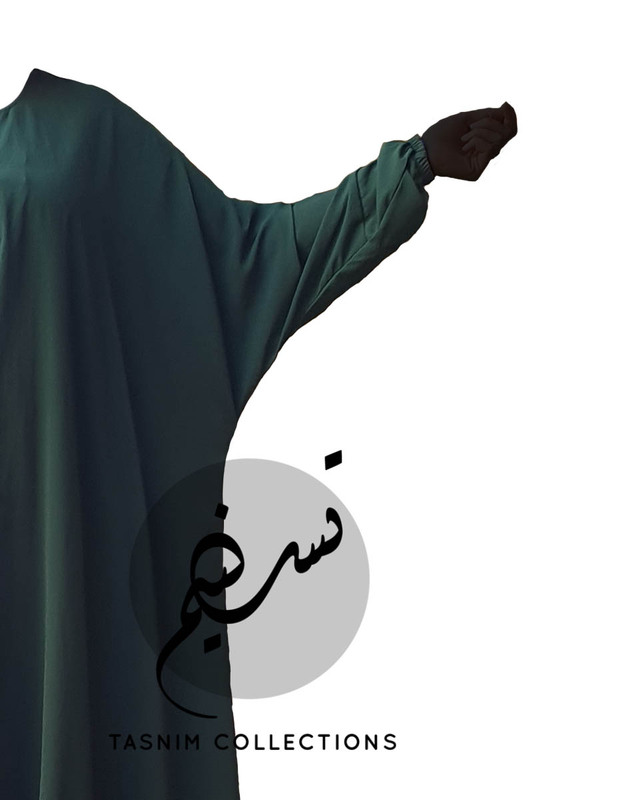 Whats the waist width of the abaya? 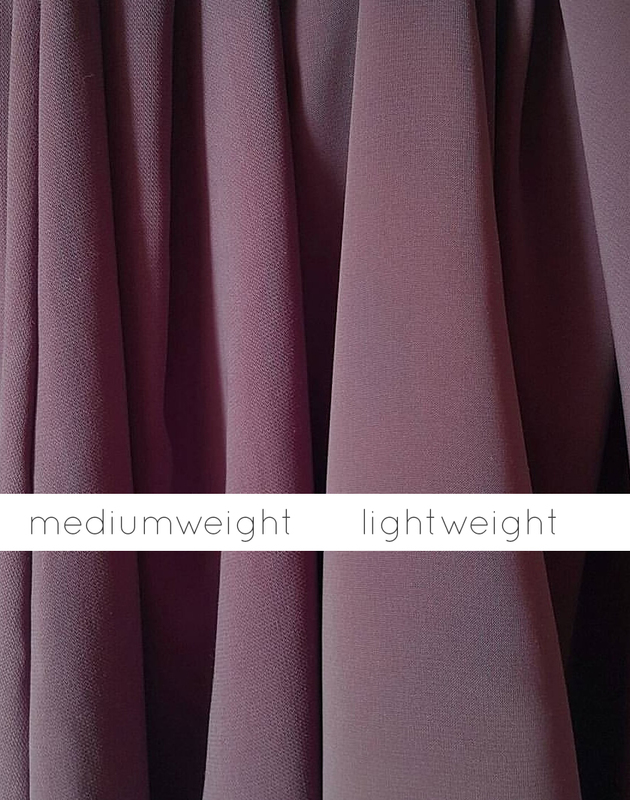 This abaya is very wide and have a waist width of 120 cm one size, which means 240 cm in circumference .